Laisrén is not impressed by silly human rantings. VOTE for the comic on TWC! Since humans can’t eat fae food, would happens to fae who eat human food? Good question! 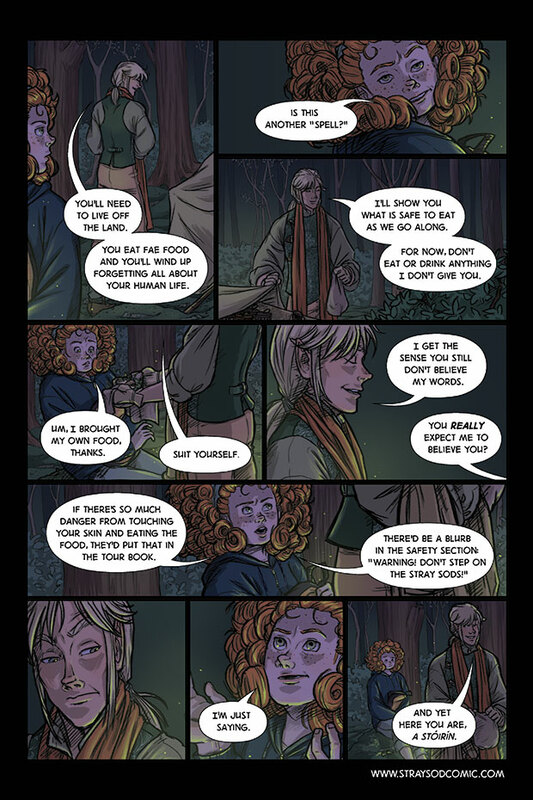 I haven’t read any traditional stories that answer that question, but some stories deal with fae coexisting with humans undetected, so I would imagine that fae would have no problem eating our food. I have read that salt can counteract the spells in fae food, so perhaps they’d have an aversion to salty food in the human world?